Of all the action cameras that I have used, the SJCAM SJ5000X Elite is probably the one I liked the most. The video quality was top-notch, it was well made and it also got lots of updates. The SJ6 Legend has replaced it, but does it live up to its predecessor? The new action camera is similar in terms of specs, but thanks to some key changes it makes for a much more interesting proposition. But how does it perform? I've tested the SJ6 Legend to find out. Not much has changed in the accessory department since the last time I reviewed an SJCAM product, namely the SJ5000X Elite. 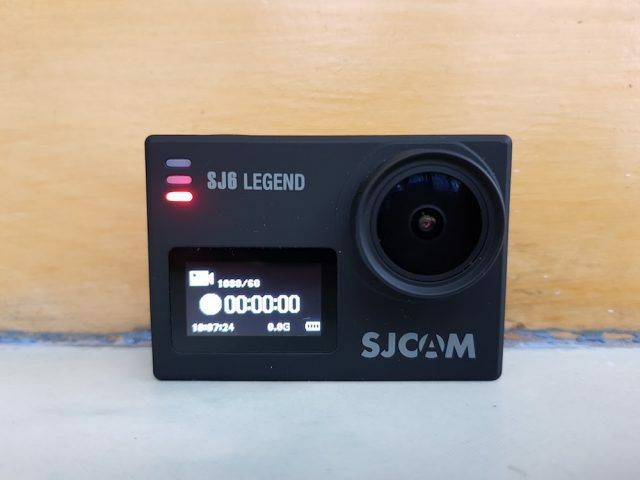 In the box, you will find the SJ6 Legend in a waterproof case alongside different mounts and joints, a plastic cover for the lens, the USB cable to connect it to a PC and charge the battery, a drilled cover for the case that lets more sound through, a cleaning cloth and other bits and bobs. It is worth pointing out that the waterproof case is fully compatible with GoPro mounts. It takes little effort to align the case with the mount and push the screw through all the holes until it reaches the nut, which isn't always the case with action cameras in this segment. The SJ6 Legend is really well thought out. 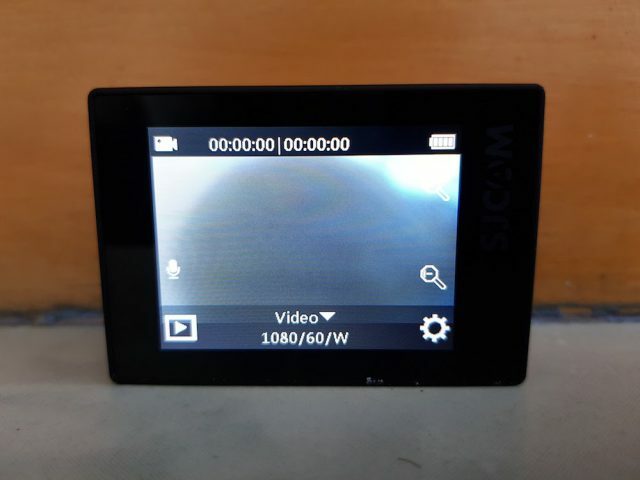 On the front, you have a small display that lets you know how much battery you have left, what time it is, for how long you've been recording, what mode you are using, and more. And, on the back, you get a touchscreen display -- which is uncommon in this segment. The touchscreen display on the back works great and it makes navigating through the menus and changing the modes super easy. When you have the SJ6 Legend in the case there are three physical buttons that let you control it. One is at the top, which works for selections and recording, and two are on the side. One turns the camera on and off, lets you change the modes and scroll though the menu, and the other is for opening the settings menu. The settings menu is easy to navigate. You get two tabs, one for video and photo settings and the other for camera settings. Every setting that you might want to change is there. On top of all this, there are also status lights that let you know when the action camera is on and whether you are recording or not. Coupled with the front display, it is easy to figure out what the SJ6 Legend is doing without looking at the bigger screen on the back. In terms of battery life, the SJ6 Legend lasted over an hour the last time I used it before it turned itself off. That's decent for a camera sporting this hardware. What is really interesting here is that you also get support for an external microphone. SJCAM offers one, and it can be had for less than $20. If you want to record your voice, it is a much better option than the built-in microphone. The case is not pre-drilled for it, but you can easily drill a hole if you want to take this route. I have done this in the past to power the camera from an external battery. 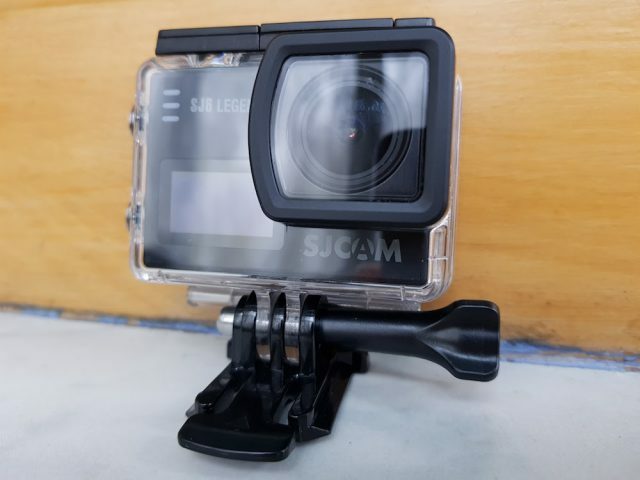 As with other newer action cameras, the SJ6 Legend uses a USB Type-B connector for charging and the microphone. This means that you might need to carry a cable with you, as this connector is pretty uncommon these days. It's only a niggle though. Like its predecessor, the SJ5000X Elite, the SJ6 Legend uses an older Novatek chip, the well-rounded NTK96660. That means that it does not natively support 4K video recording, which is a shame considering just how modern it looks and feels. To get 4K, you need to step up to the SJ7 Star or the upcoming SJ8. The SJ6 Legend does not disappoint. It has the best video quality at 1080p 60FPS of all the action cameras that I have tested. This is my model of choice for non-4K cameras, as it offers a nice balance between quality, smoothness and storage space. In its highest-quality setting, the action camera has a bitrate of 30Mbps, which is on par with the SJ5000X Elite. That means that an hour of video will require about 13.2GB of space on the microSD card. The video samples that you can watch below were uploaded to YouTube without any editing after the fact. You may notice that, for some videos, the time stamp is wrong; that's because I did not sync the time before recording. It is also worth mentioning that YouTube has applied compression algorithms to the video, which do affect the quality to some extent. I recommend watching at 1080p 60FPS to get the best experience. SJCAM is among the few players in this market that stands behind its action cameras after launch. It regularly releases firmware updates to improve the user experience and fix problems, even in the case of older products. The SJ5000X Elite was my favorite action camera for a long time in part because of the numerous firmware updates that have kept it fresh. At one point, the whole UI was overhauled, which isn't something that you can say about many of its rivals. The SJ6 Legend appears to be no different, having received three major updates -- the most-recent of which arrived in September -- so far. And you can expect more. The SJ6 Legend is one of those cameras that are really easy to recommend. It works really well, it offers great video quality at 1080p, and it gets solid support from SJCAM. How much does it cost? It's currently available for just over $100 on Gearbest.